In past twenty years public awareness of prion diseases has grown in parallel with the occurrence of cases of BSE and realization that this disease can be transmitted to humans through the consumption of contaminated meat and give rise to a variant form of Creutzfeldt-Jakob disease (CJD) the prion disease in humans - rarer forms of manifestation are known as Gerstmann-Sträussler-Schenker Syndrome (GSS) and Fatal Familial Insomnia (FFI). Better known prion diseases in livestock are “Scrapie” in sheep and goats, Bovine Spongiform Encephalopathy (BSE) in cattle and Chronic Wasting Disease (CWD) in elk. Prion diseases are characterized by the aggregation of PrPsc within the central nervous system. These aggregates can be visualized and are often referred to “plaques”. The toxic accumulation of PrPsc in turn causes the formation of large intracellular holes (vacuole formation) and neuronal death. However, once symptoms appear the disease progresses rapidly, leading to widespread brain damage. Neurodegenerative symptoms can include dementia, ataxia (dysfunction of balance and coordination), convulsions and behavioural or personality changes. Death typically occurs within one to three years from the onset of clinical symptoms. Moreover prions are in focus of science regarding their function for other neurodegenerative or cognitive diseases. 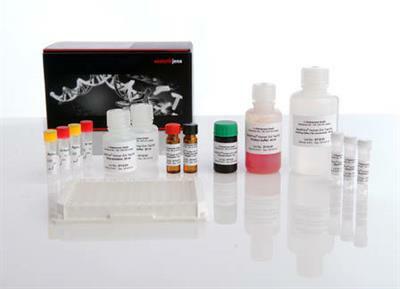 BetaPrion® BSE EIA test kit is EU approved according to regulation 999/2001 for BSE testing in cattle. The test allows complete sample processing and ELISA detection in 96-wel-format. The kit is present on European market since 2005 and 2 million of cattle were tested till now. No reviews were found for Kits for Prion Proteins. Be the first to review!